Skyrim Special Edition Nexus, Qwinn. 25 Mar 2019. 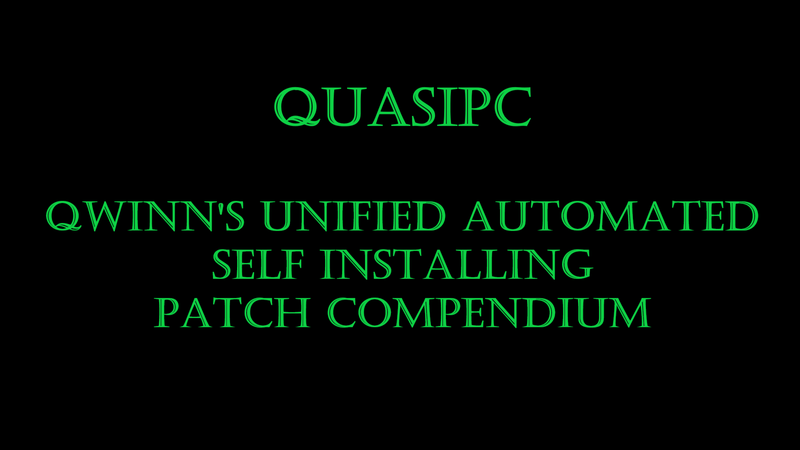 QUASIPC - Qwinn's Unified Automated Self Installing Patch Compendium. 5 Jul 2018 <https://www.nexusmods.com/skyrimspecialedition/mods/18369>.